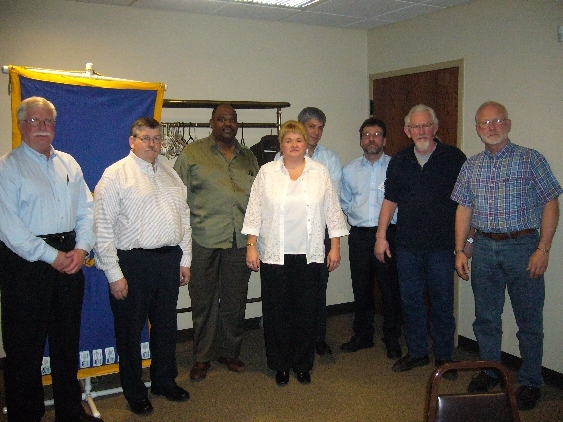 ASM Akron Chapter Receives Award. 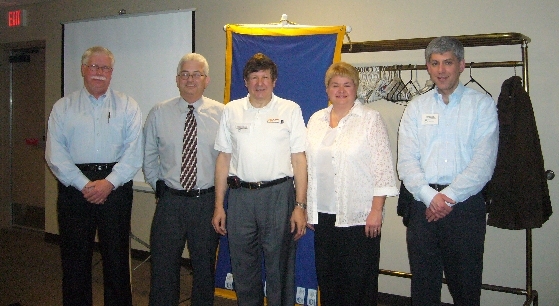 Marion Gordon, Louis Cseko, Fred Lisy FASM. 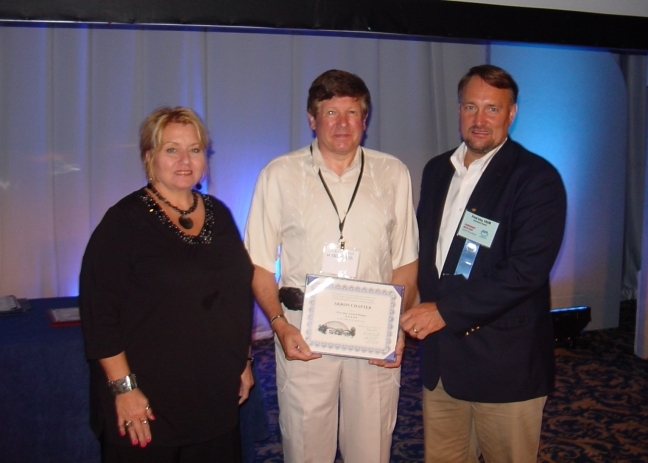 ASM International Leadership Days July 22, 2017. 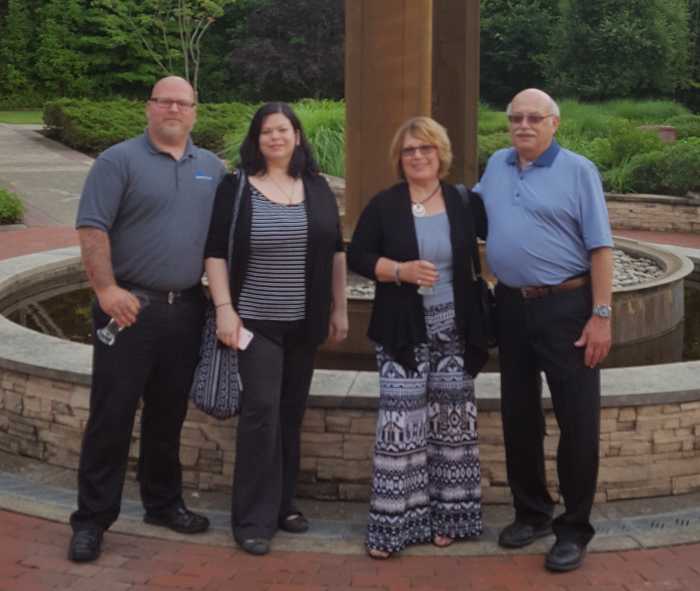 ASM Akron Chair, Louis Cseko, participated in the seminars and attending the dinner at the Dome on Saturday were Executive Committee members John and Marion Gordon, Eric and Jasmine Colwell and Mike and Karen Francek. 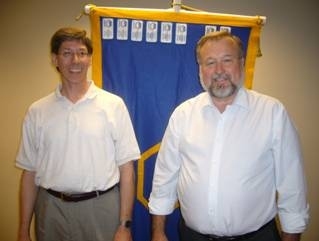 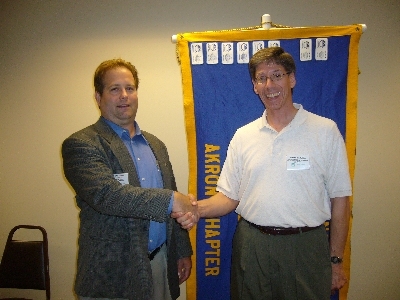 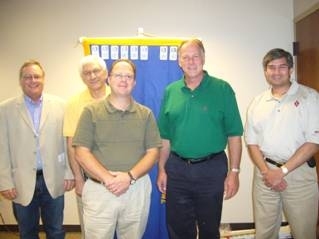 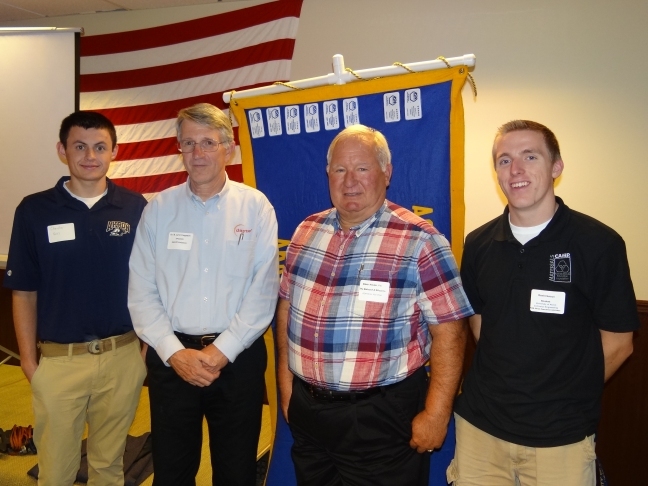 Dave Houser, Technical Chair, Kevin Nelson, ASM Akron Executive Committee. 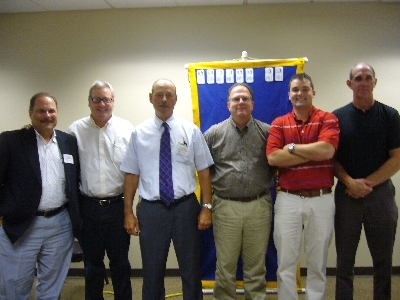 Note: Dr. Ferguson was the speaker. 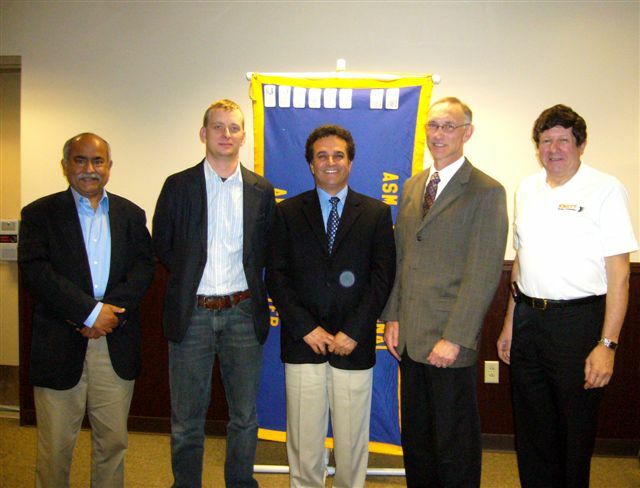 Dr. Amit Prakash, FASM, ASM Akron Education Committee, Greg Werner, Research, Precision Made Products, Dr. Majid Daneshvar, Speaker, President, Precision Made Products, Dr. Loren Dill, Marketing Representative, Precision Made Products, Louis L. Cseko, ASM Akron Chair. 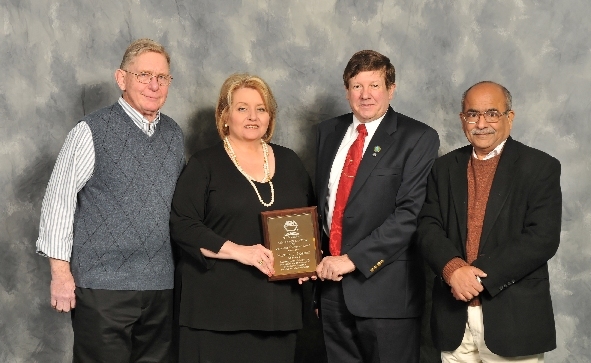 Marion Gordon receives the ASM Akron Outstanding Achievement Award at the 2010 Engineers Week Banquet. 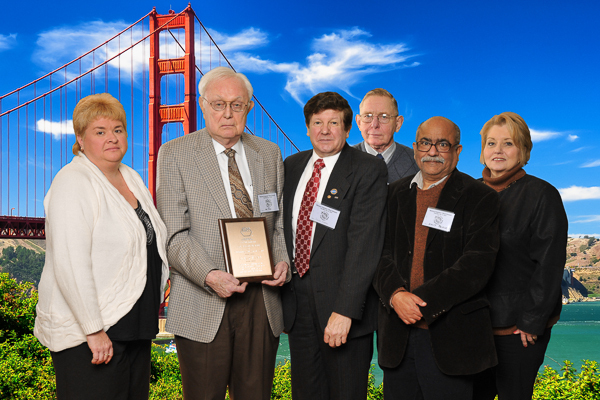 Left to Right: Dr. Bob Shemenski, FASM, Marion Gordon, Lou Cseko, Dr. Amit Prakash, FASM. 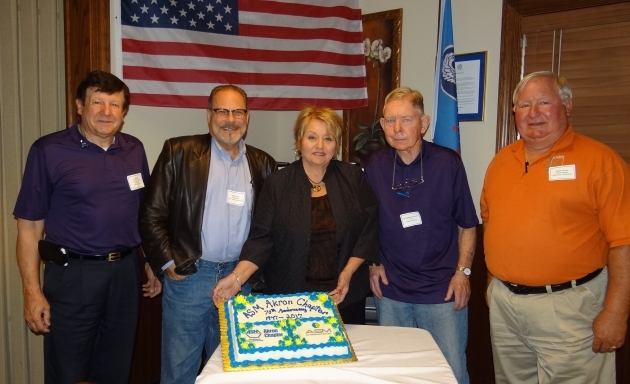 John Lindeman, ASB Industries, Inc.; Meeting Speaker Mitch Dorfman, Sulzer Metco; Lou Cseko, ASM Akron Chair; Deborah Curtis, ASB Industries, Inc.; Charlie Kay, ASB Industries, Inc. 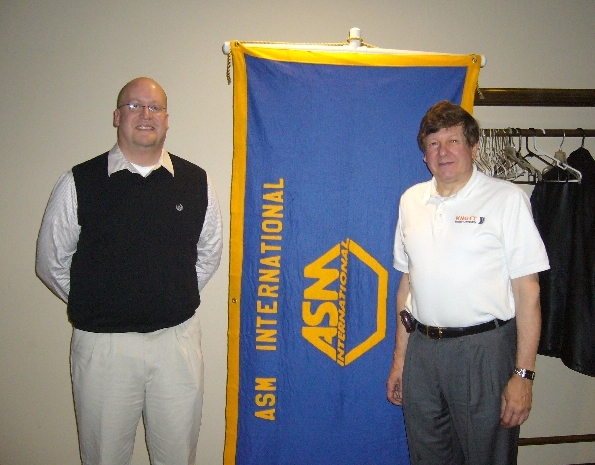 The group from ASB Industries, Inc.
Randall Barnes, ASM International and Lou Cseko, ASM Akron Chair. 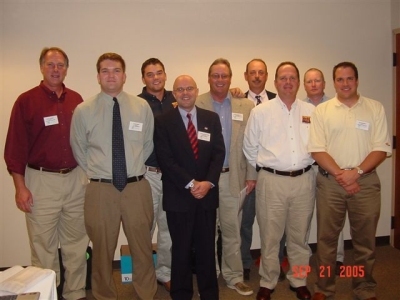 Left to Right: Steve Turner, ALFE Heat Treating; Dave Shoup, SECO/ WARWICK; Shade McMillen, Mormac; Janusz Kowalewski, SECO/ WARWICK; Bo McMillen, H&M Metal Treating; Rick Miller, Akron Steel Treating, Tom Nader, H&M Metal Treating, Jim Henderson, Peterson Heat Treating; Rick Diesner, ALFE Heat Treating.